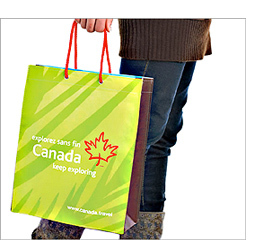 In this project we were proud to lend our brush illustation skills to render a Canadian maple leaf for the Canadian Tourism Commission's new logo. 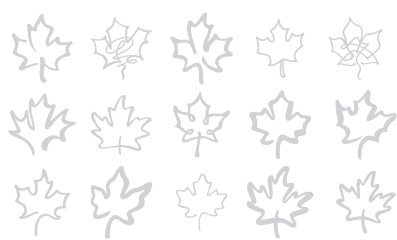 The leaf design is: modern and unique, and the soft brush lines exude warmth and friendliness. This leaf may look simple but we went through 6 rounds of designs, totalling 139 leaves… and those were just the ones we showed! The grey leaves shown here are some that didn't make the cut.